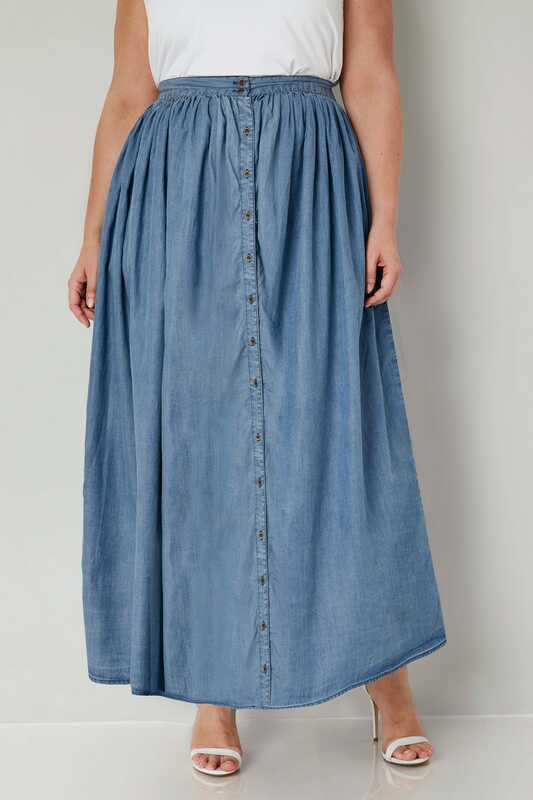 Plus size blue chambray maxi skirt. 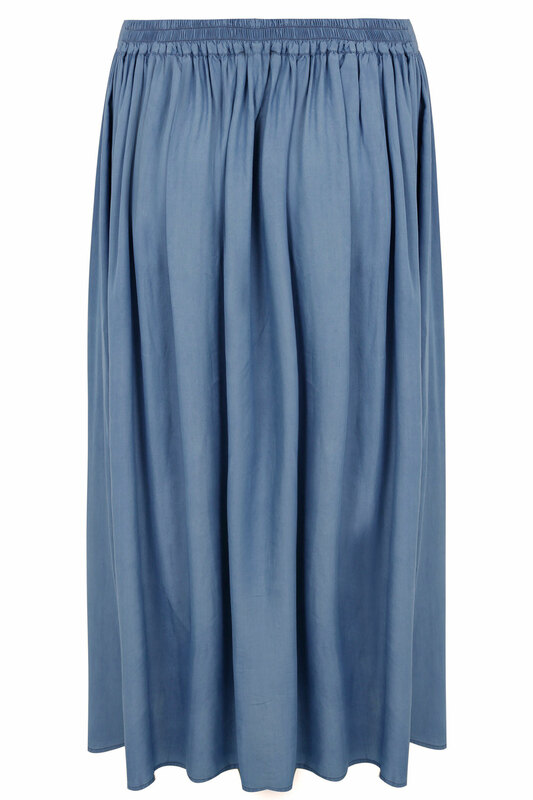 Features button fastening down the centre front, elasticated waist to the back and ruching to the waistband creating a flattering fit. 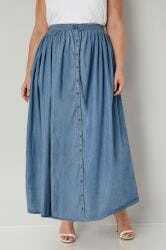 This light weight summer maxi skirt is made from 100% cotton. 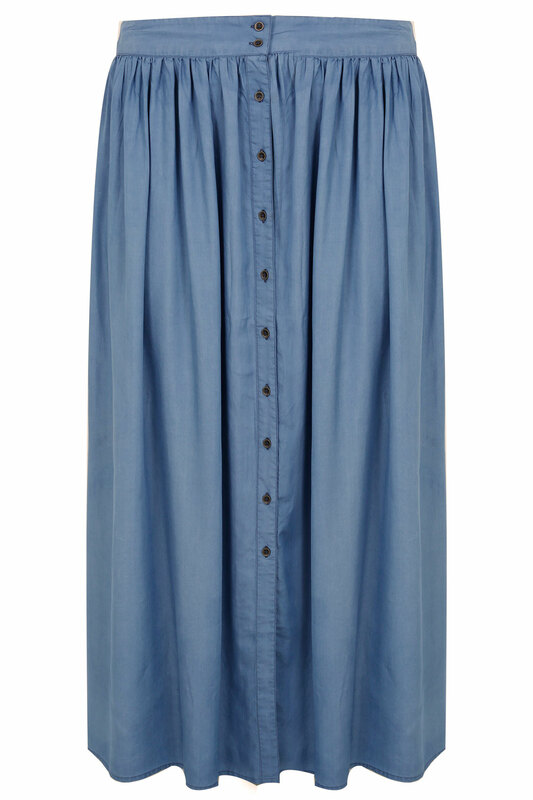 Wear with a basic cami and sandals for a casual summer look.